One of the new 2017-2019 in colours is Lemon Lime Twist which is fast becoming one of my favourite colours. It's bold and bright but can easily be toned down for a more subtle pop of colour when needed. This time though I went all out lime and I love the results. It's a card I cased from a fellow demonstrator Bj Peters. I used this card as a sample for my open day and it got quite a few comments. But did you notice something a little different about this card? There is actually no stamping on this card at all! 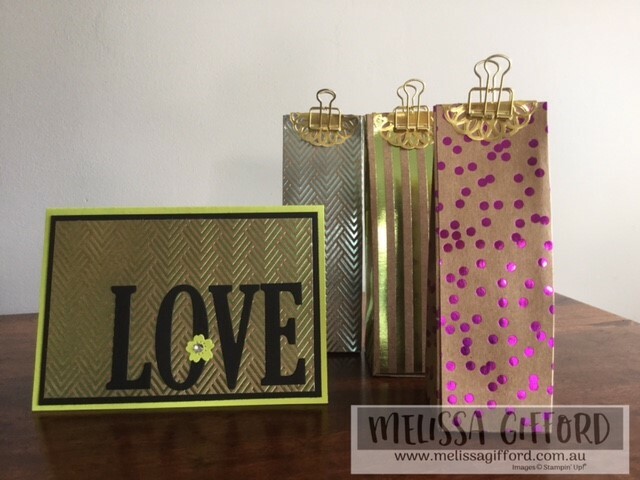 I was wanting to showcase the stunning Foil Frenzy specialty designer series paper. This paper is thicker, more like cardstock with a lovely kraft coloured background. It comes in 3 designs in berry burst, lemon lime twist, soft sky and tangerine tango. The pattern is on one side only. The heavyweight kraft paper makes this amazing for boxes and 3d items where you might need a sturdier build. 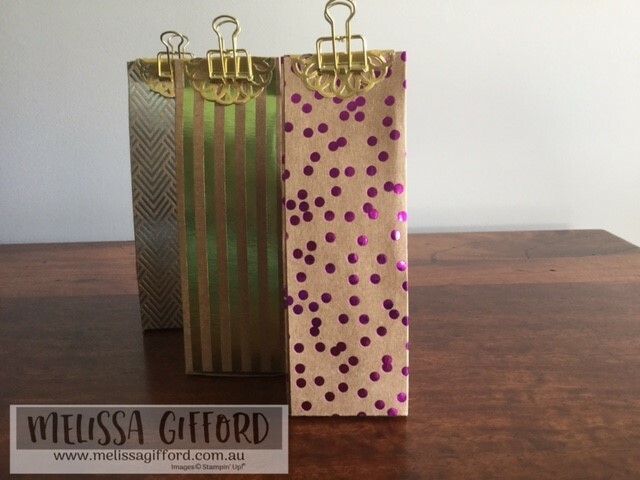 These 3 bag/boxes I made are able to hold a reasonable weight making them ideal for small gifts. The large letters framelits are fantastic for a real wow factor. I have used these a heap. They are a little pricey but it is one of those items I feel is worth the expense as I know I will keep them forever! 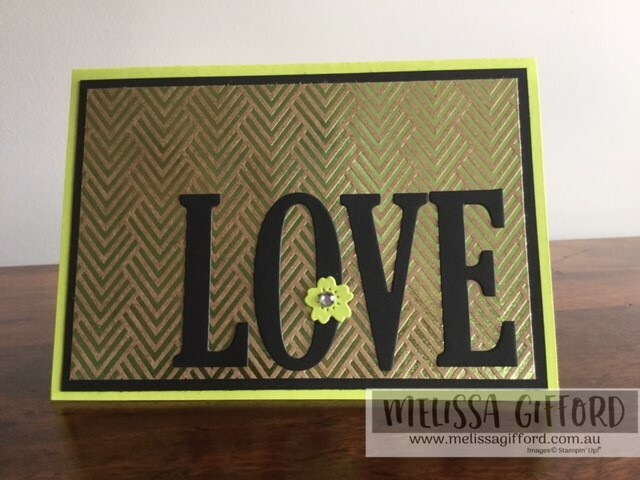 They are a great way to personalize cards, tags and other projects. The little flower is from the Bloomin' Heart Thinlits, it just softens the look a little and rhinestones are always a good idea on a card!